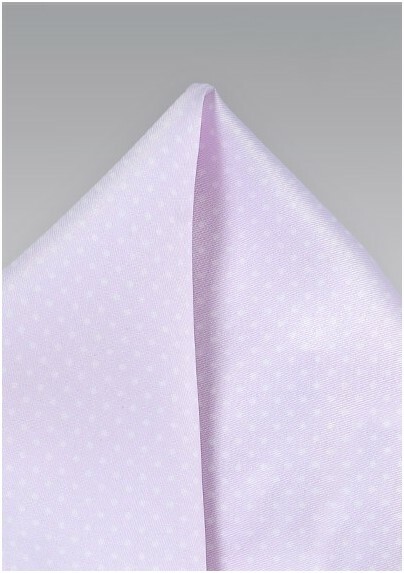 Infuse some Summer charm into your next getup with this Lavender and White Dot Patterned Pocket Square from the Puccini Fashion House. This ultra cool accessory looks amazing paired with your menswear neutrals as well as your summer pastels. 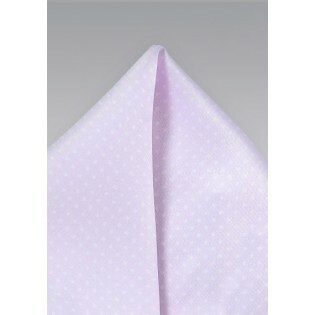 Fabricated from a high quality microfiber that mimics the look and feel of silk.